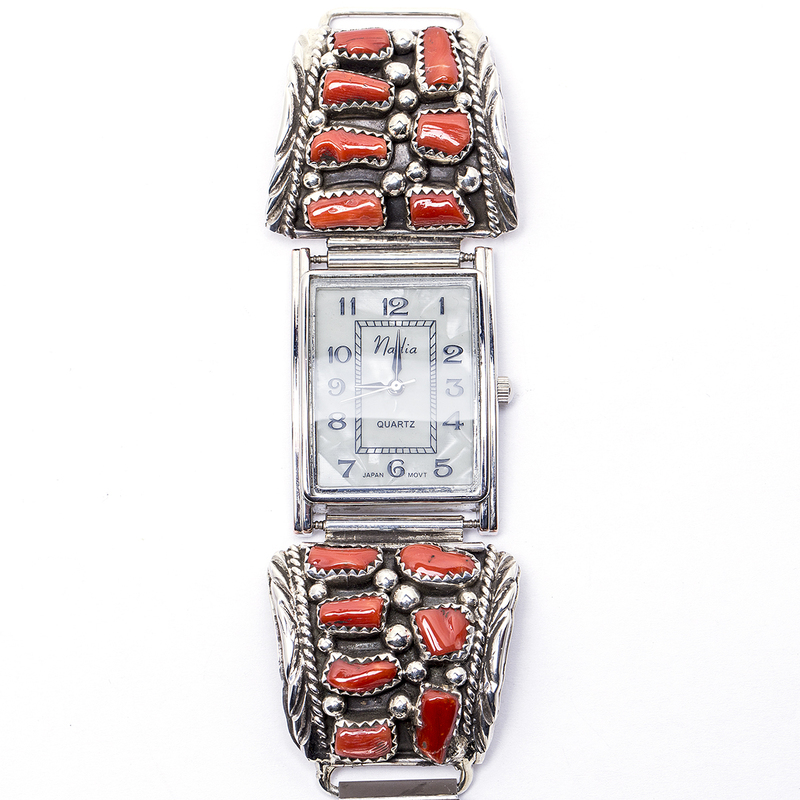 Show her just how much you adore her with this beautifully handcrafted Native American watch.This lovely watch is handcrafted by a wonderfully talented Navajo artisan with Coral and Sterling Silver. 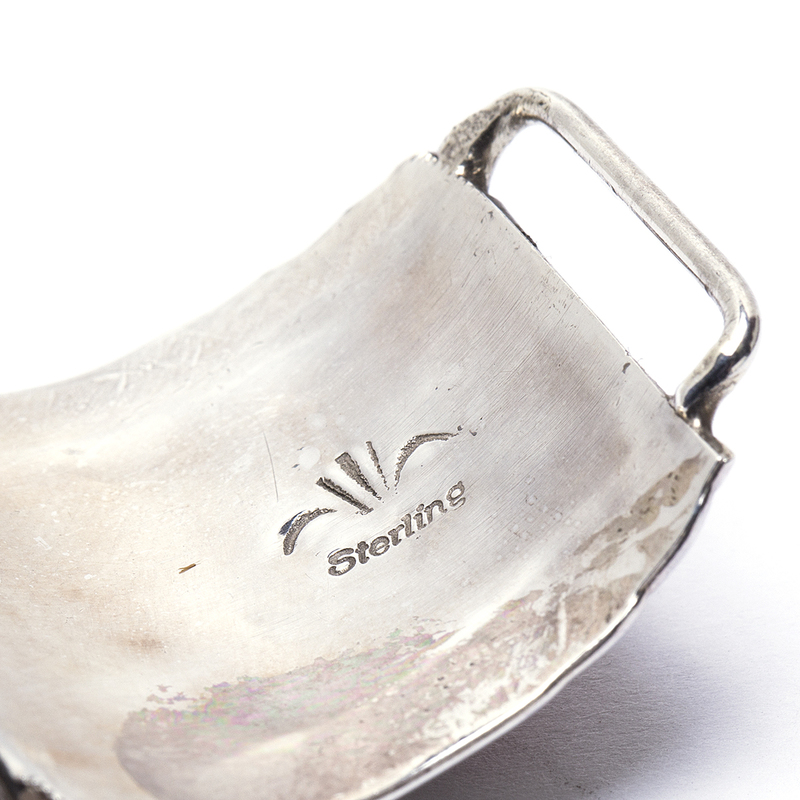 This watch is hallmarked “Wheat and Corn Symbol” and “Sterling”. 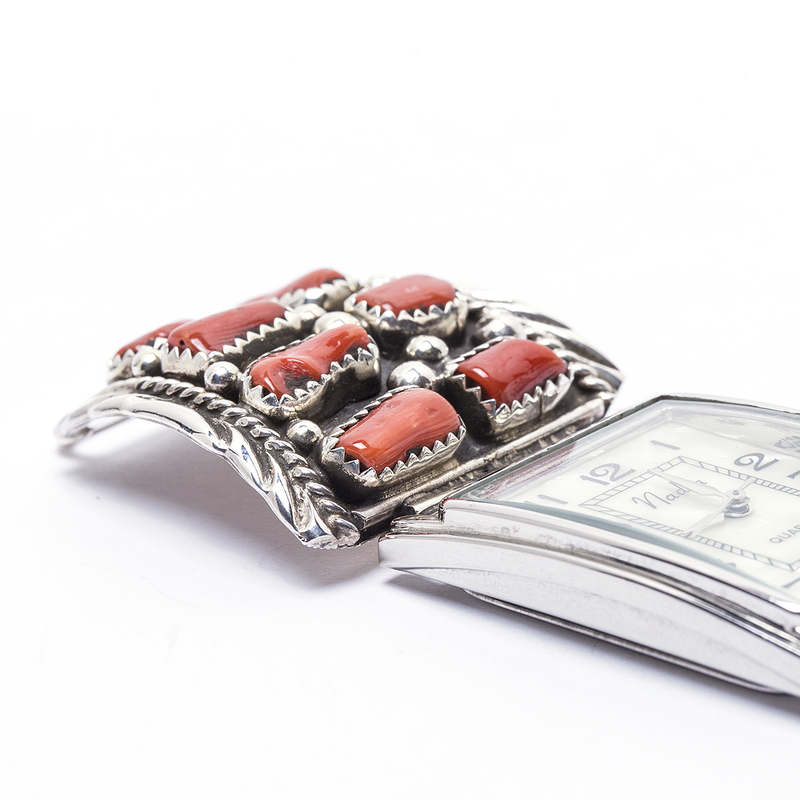 We also offer free gift wrapping with each purchase! Just ask! 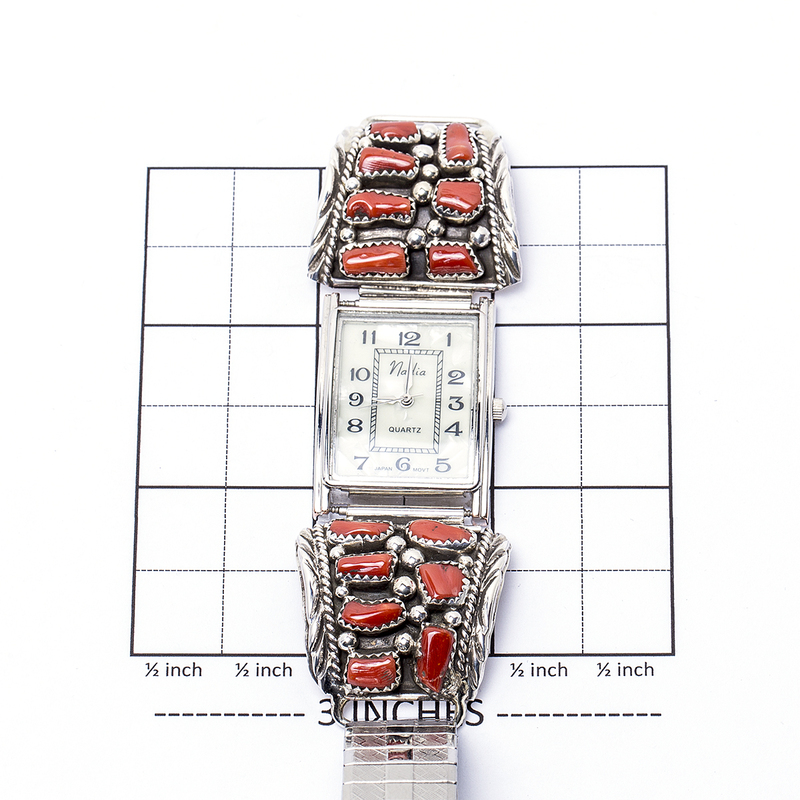 A beautiful handcrafted ladies Navajo Coral Flexible Watch embedded with dazzling sterling silver with an attached flexible watchband.